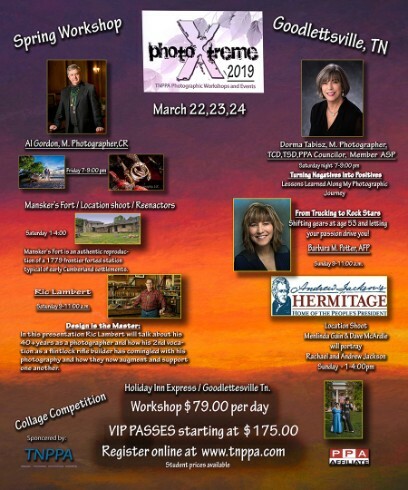 Tennessee PPA is hosting our Photo X-treme 2019 Spring Workshop on Friday, March 22-24! Registration is FREE for members of TNPPA. Please renew your 2019 membership or sign up for 2019 membership before registering. Don't forget to register and pay for Sunday's Hermitage shoot. Day rate registration is available under the event tab.